We are pleased to offer an extensive selection of braided goods. Our interest in leather braiding arose in the early 1960’s from contact with some of the last of the Australian whipmakers trained as apprentices in the Victorian craft of hand braiding. 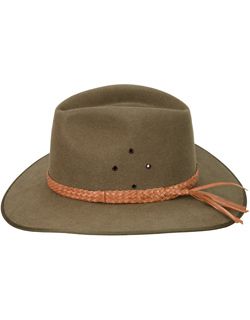 The Australians worked in kangaroo leather, the finest leather available for braiding. Since that time we have offered a selection of braided leather goods, largely in kangaroo hide, and largely in the Australian style of work. In the time when agriculture, construction work and transportation were dependent upon animal power, and cattle were raised on the open range and driven to market, whips were a common part of everyday life, and were made in vast quantity and in many types and styles. 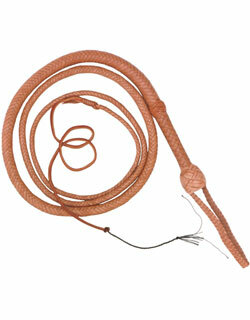 Bullock drivers, drovers, cattlemen and coach drivers became highly skilled in the use of their whips. Today the skill in the work place is largely confined to cattlemen, but it has been maintained and developed by showmen in the Western shows and rodeos, by animal trainers in the circuses, and by whip artists in the theaters and at fairs. The manufacture of long lash whips, once a flourishing trade, has all but disappeared. As part of our specialty interest in leather braiding, we maintain this craft with a limited production of whips, all hand cut from selected hides and hand braided. You will find our whips used by cattlemen from Montana to Florida, and by animal trainers, stuntmen, and whip artists throughout America. While the American tradition in braiding evolved mainly around rawhide from cattle, there has always been some braiding in leather, and the best of this has been in kangaroo whenever suitable kangaroo has been available. To assist in keeping this craft alive we also supply kangaroo skins and lace for braiders, as well as a selection of books presenting both Australian and American techniques of braiding. 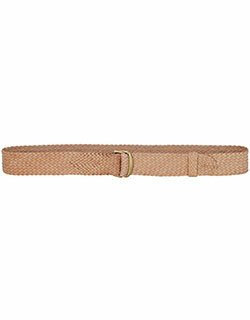 Finely braided belts were a traditional speciality of the Australian whipmakers. In cutting a kangaroo skin for a whip, the center of the skin was often left too small for a second whip. This leather, the prime part of the skin, was ideal for belts. We continue this tradition, offering a number of fine examples of hand braiding. Fine leather deserves good care. For most leather items we offer, we recommend a light coating of Pecard Leather Dressing every six months.